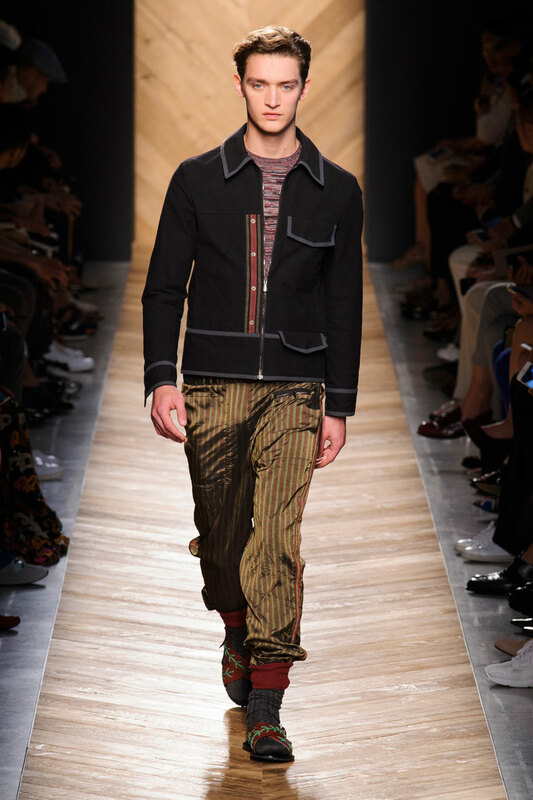 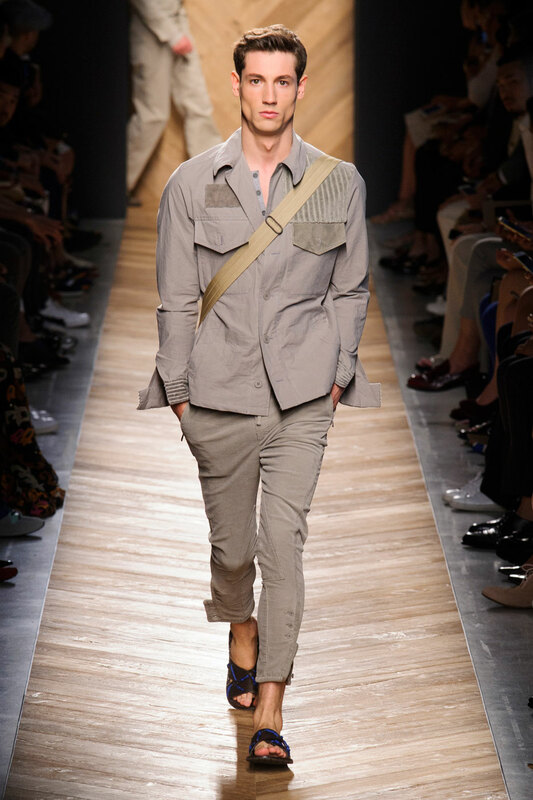 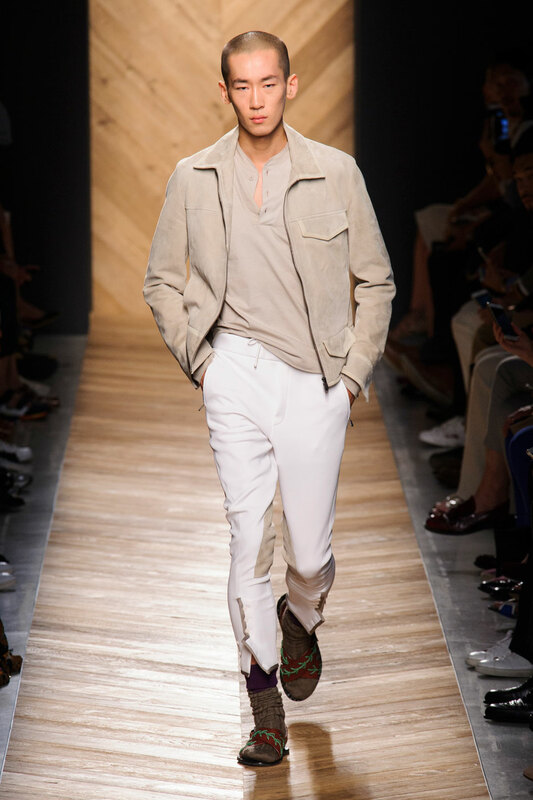 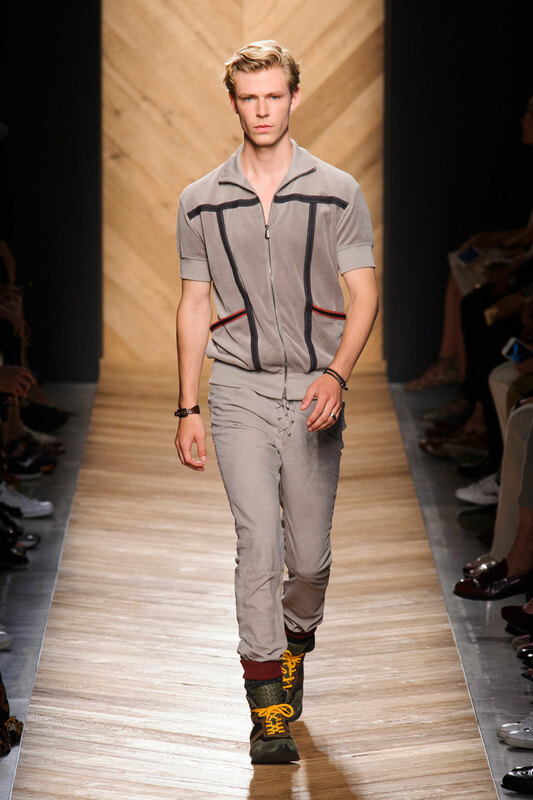 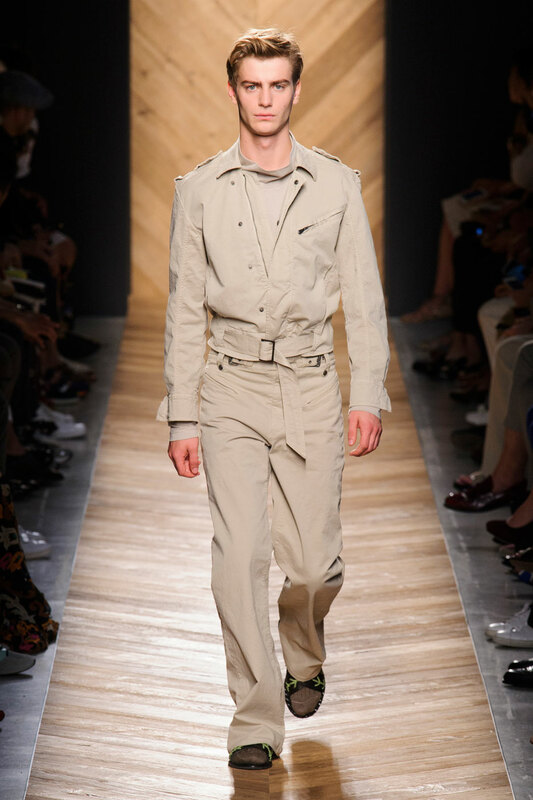 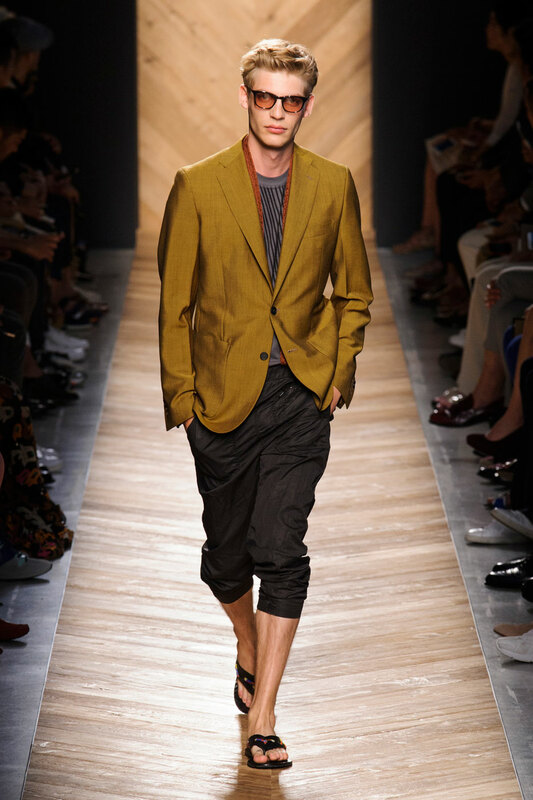 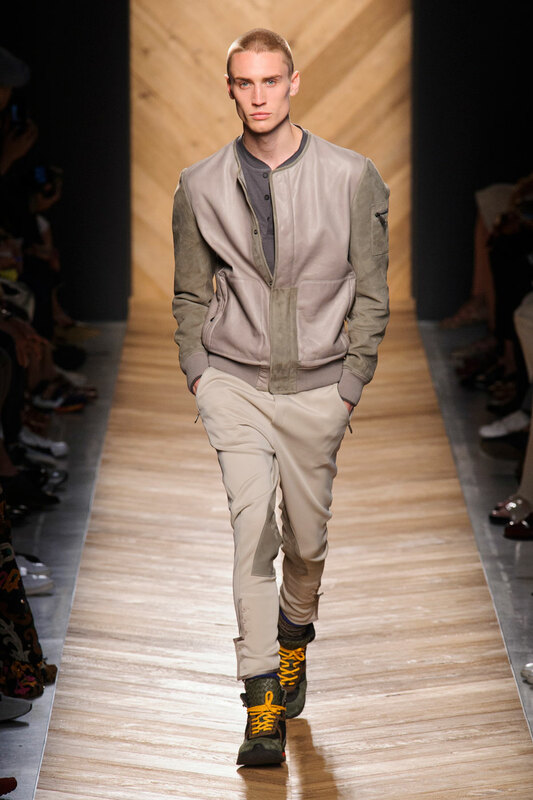 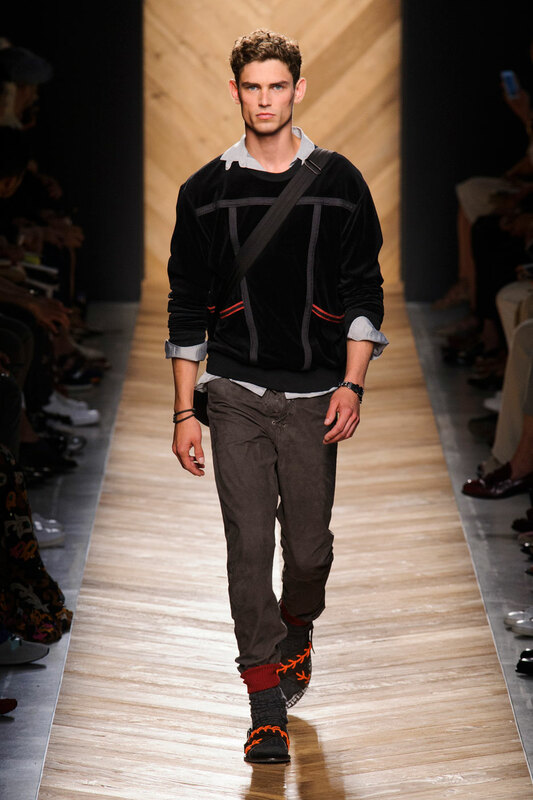 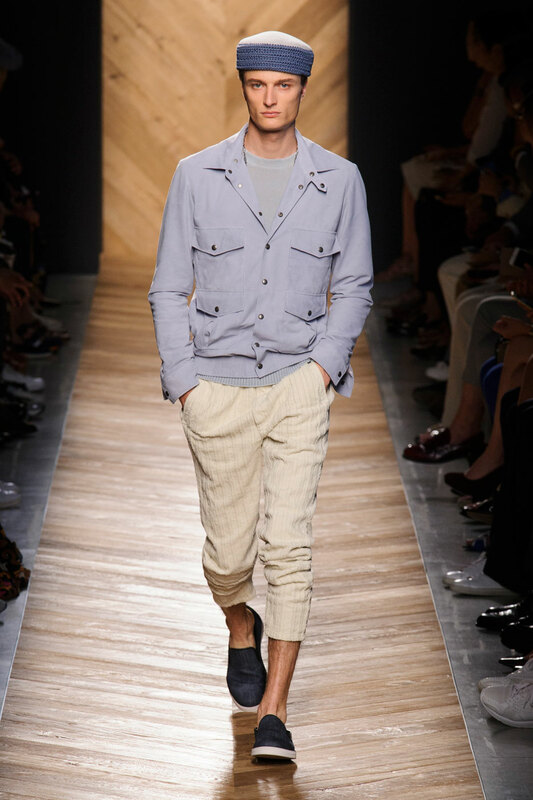 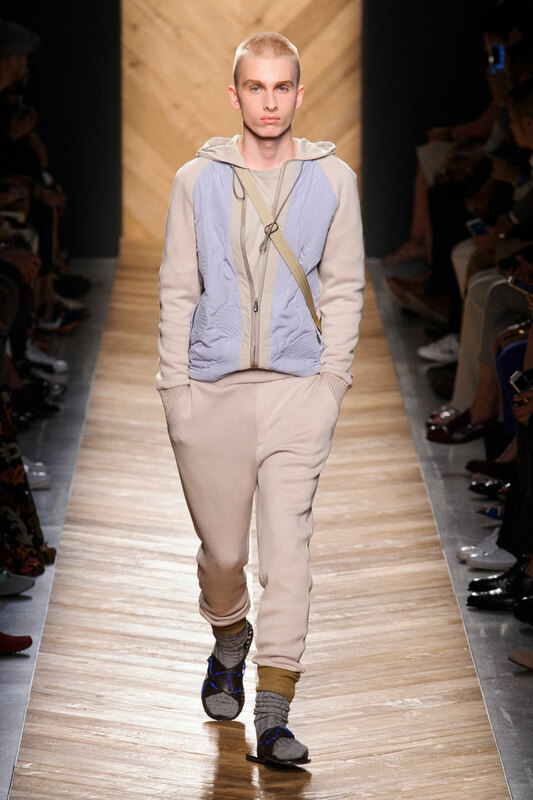 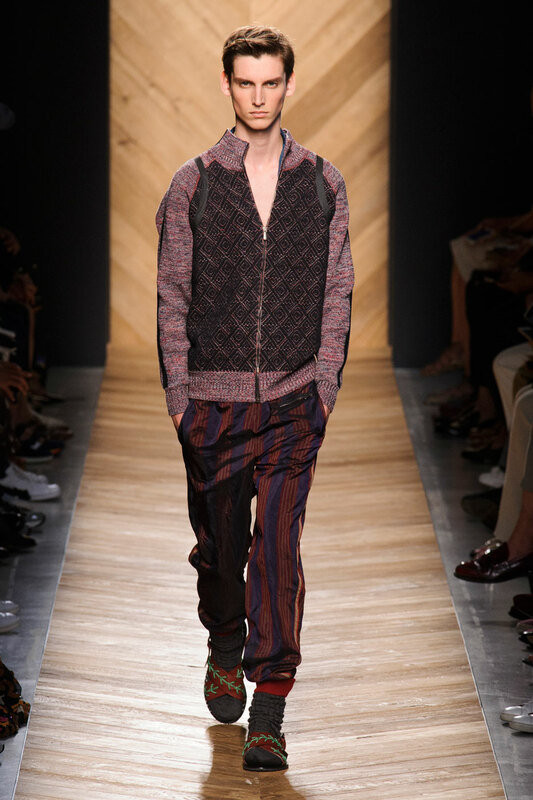 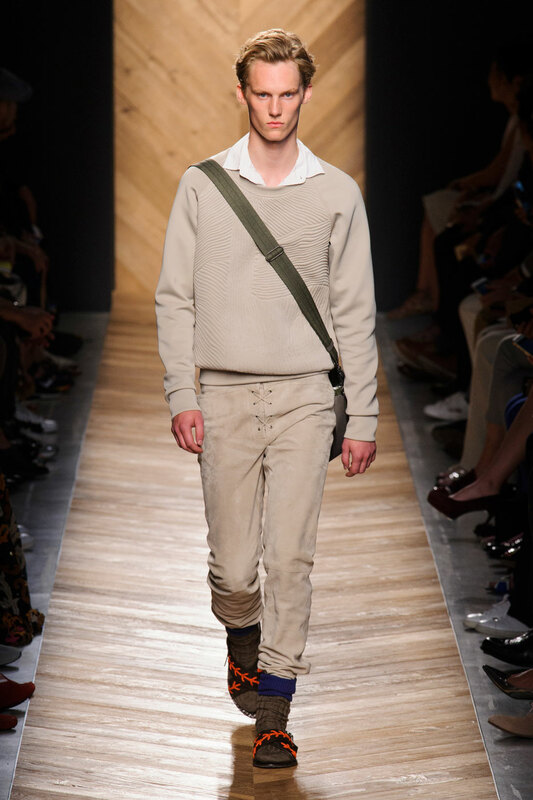 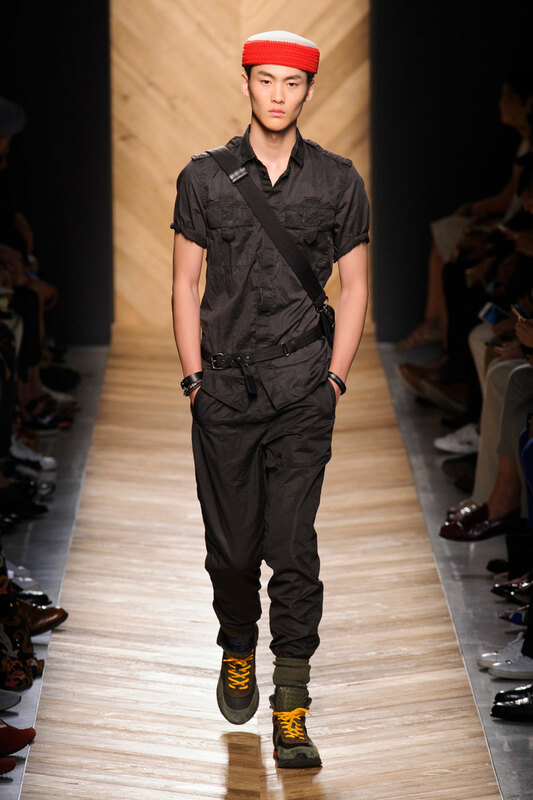 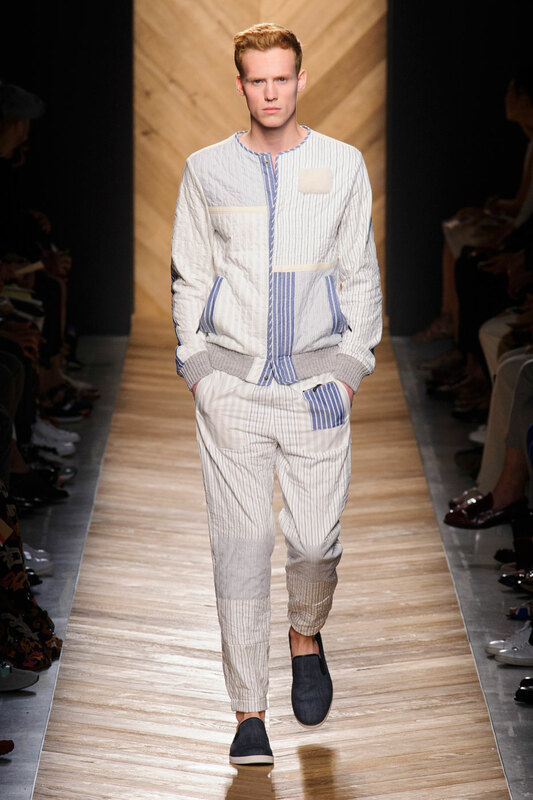 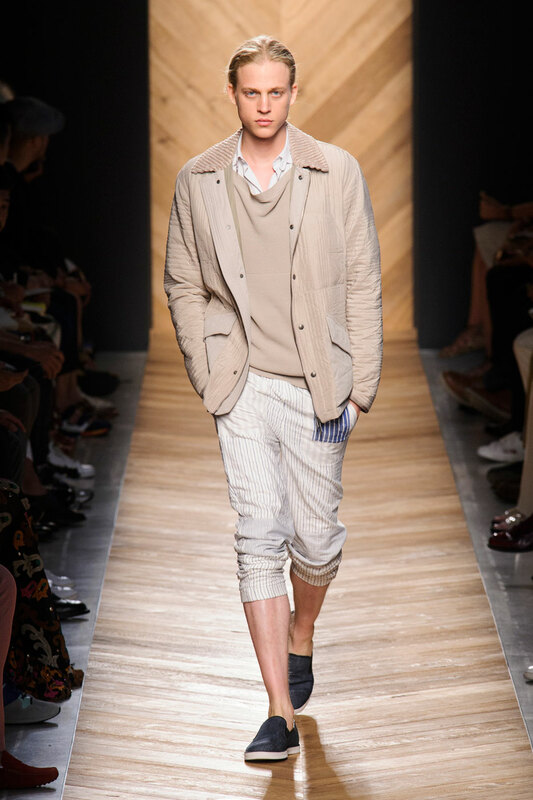 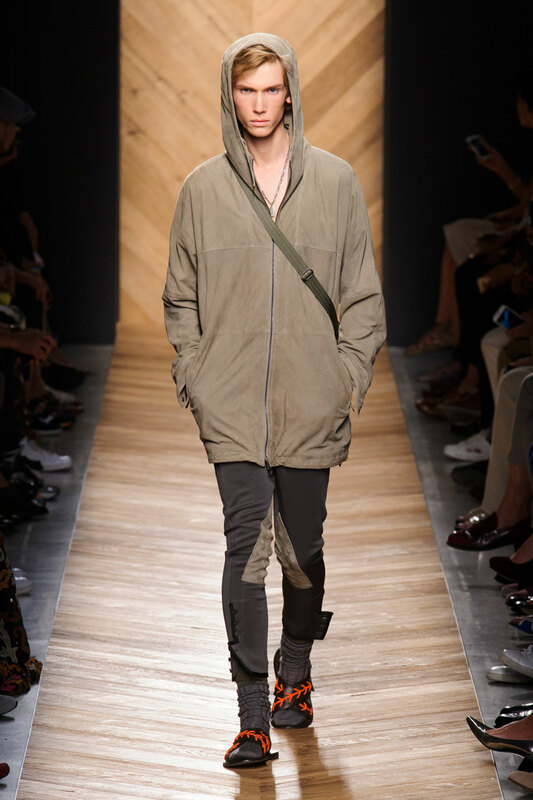 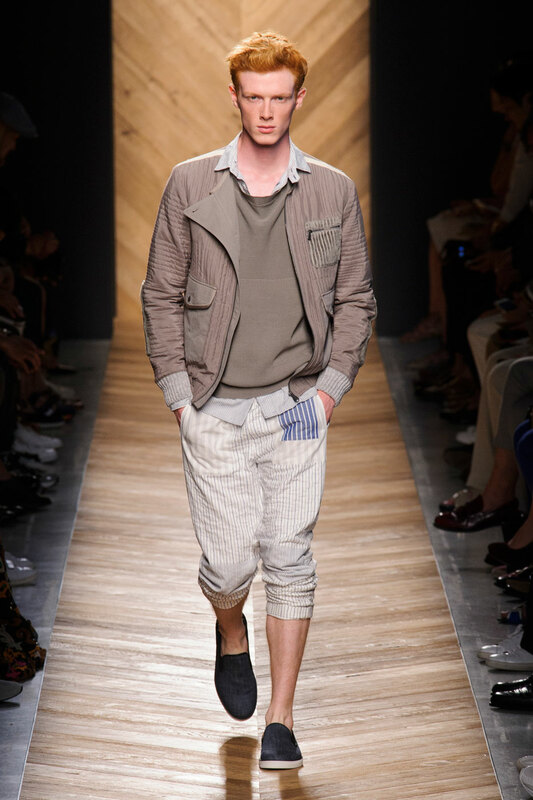 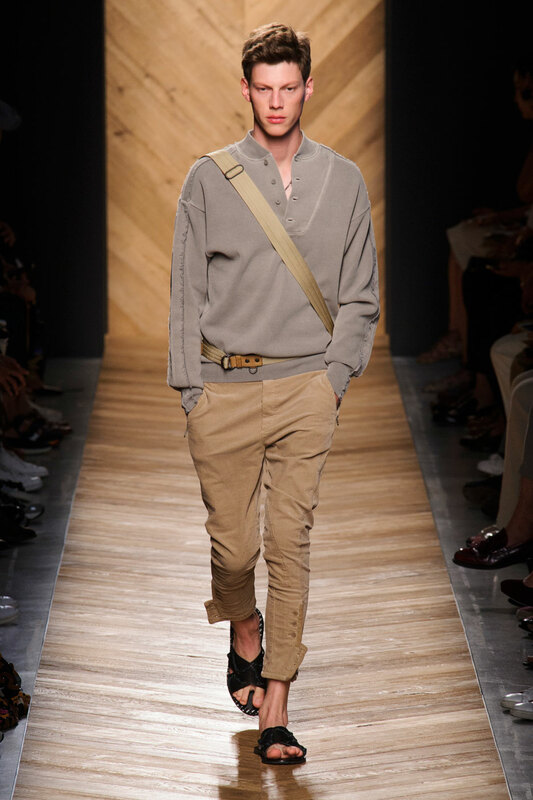 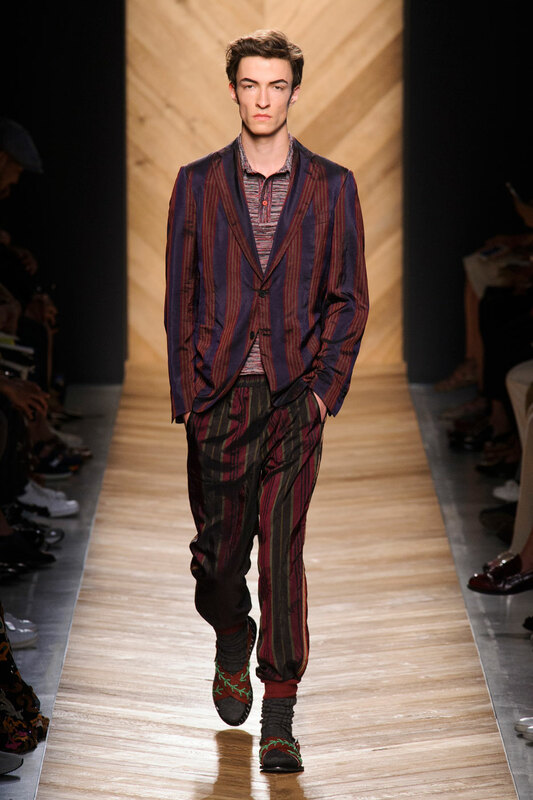 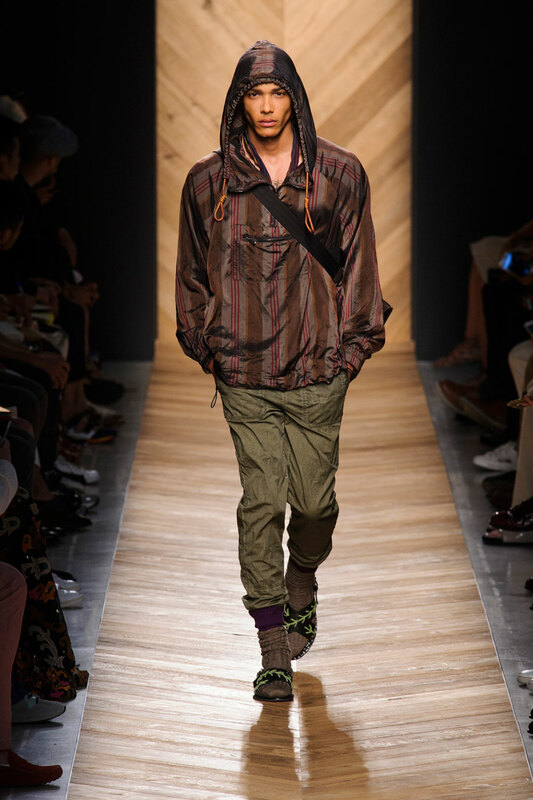 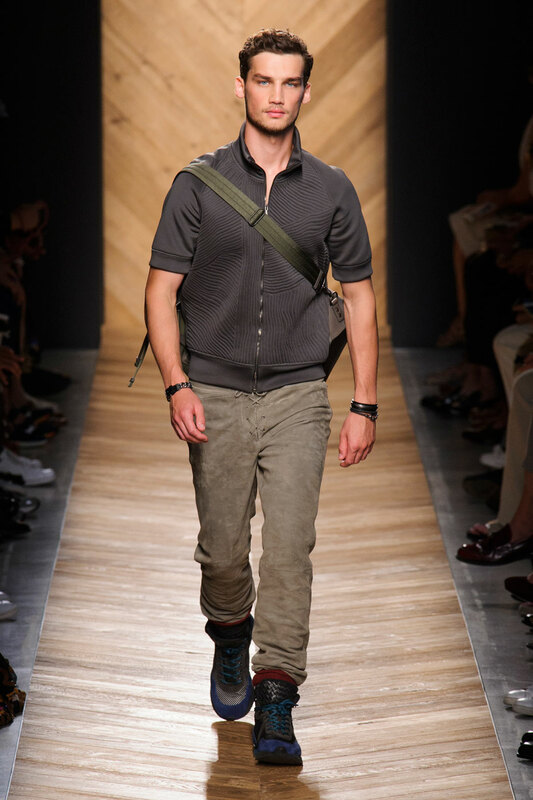 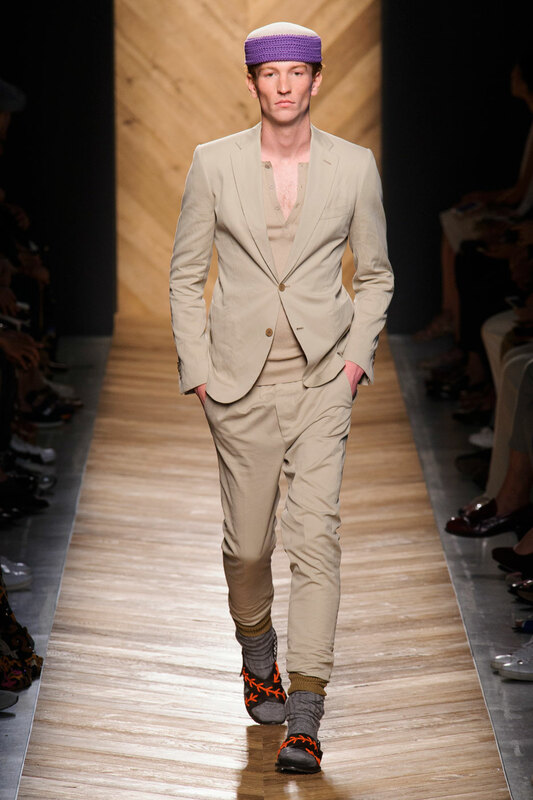 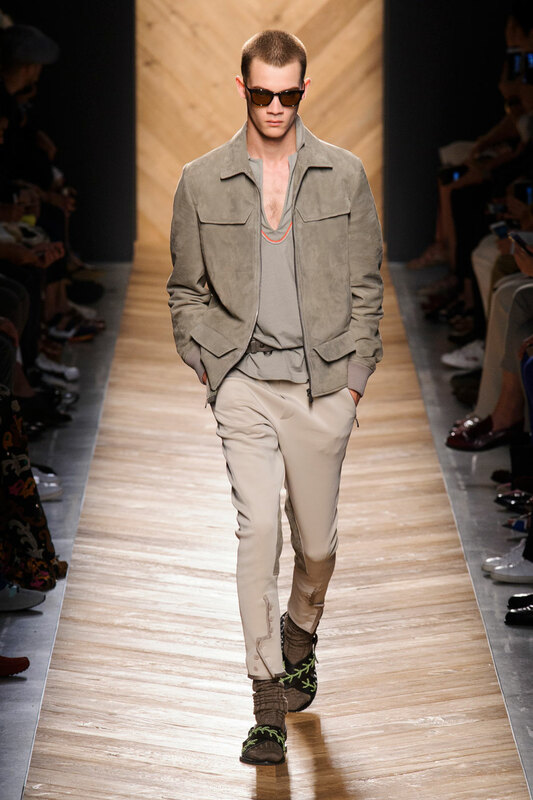 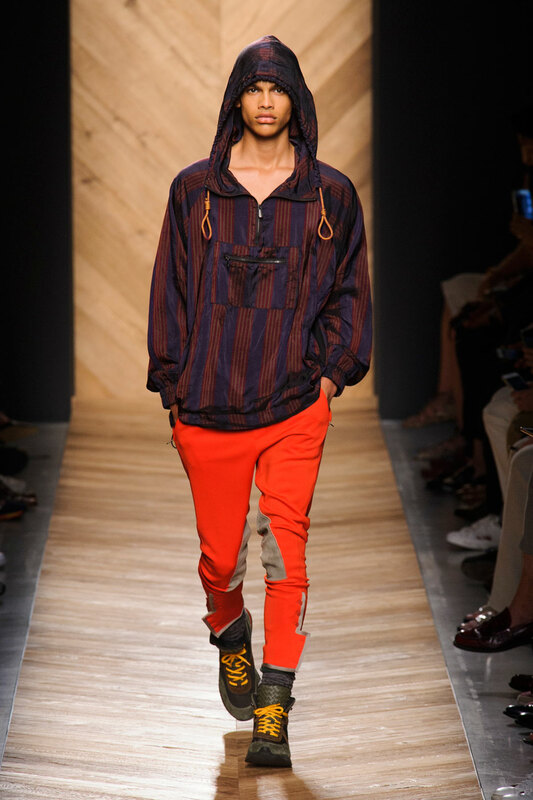 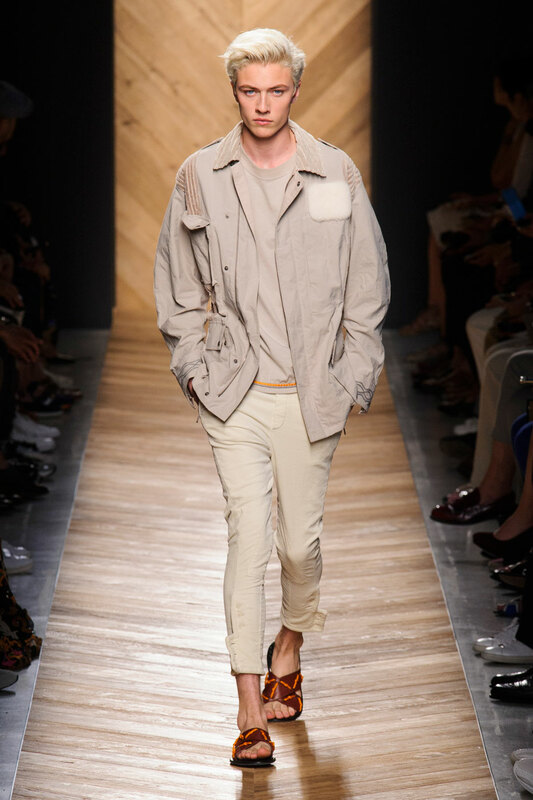 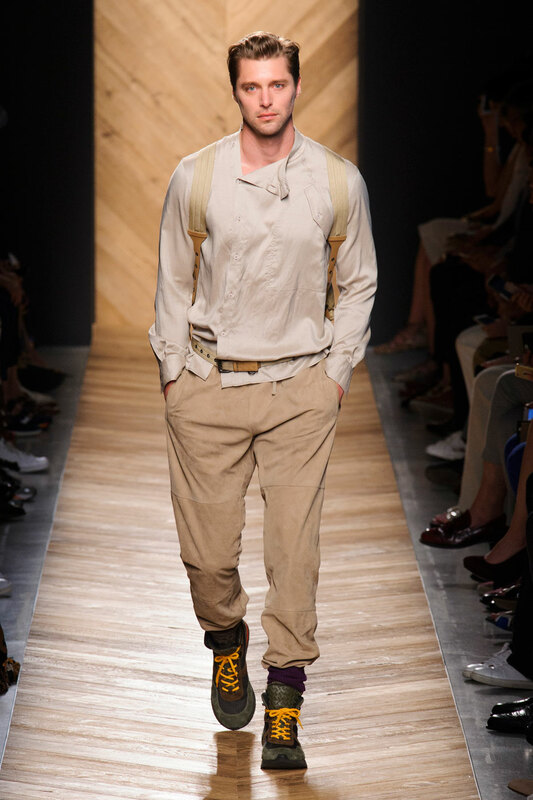 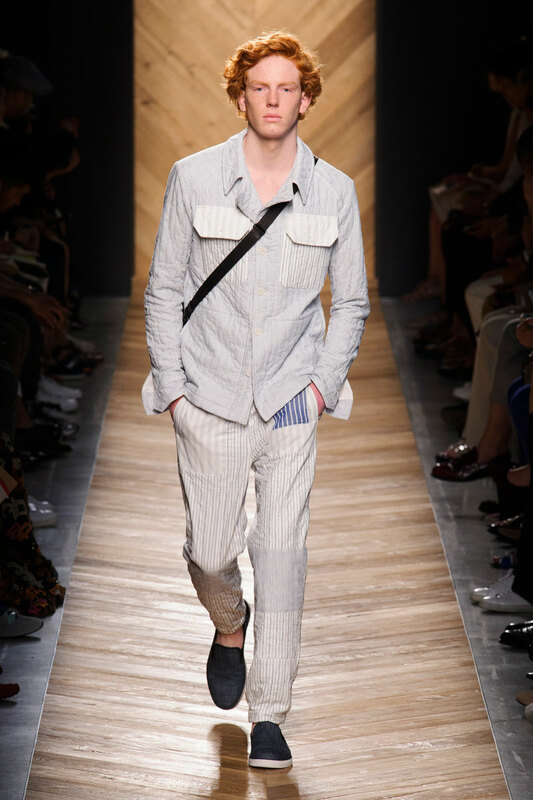 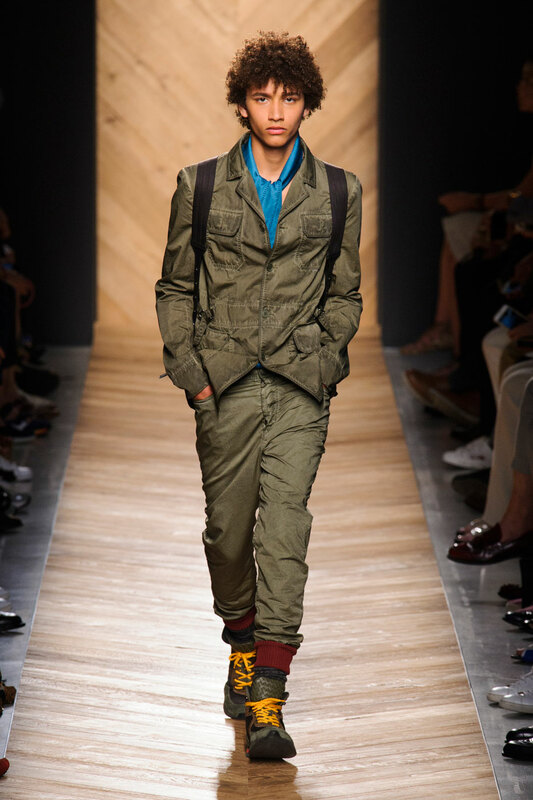 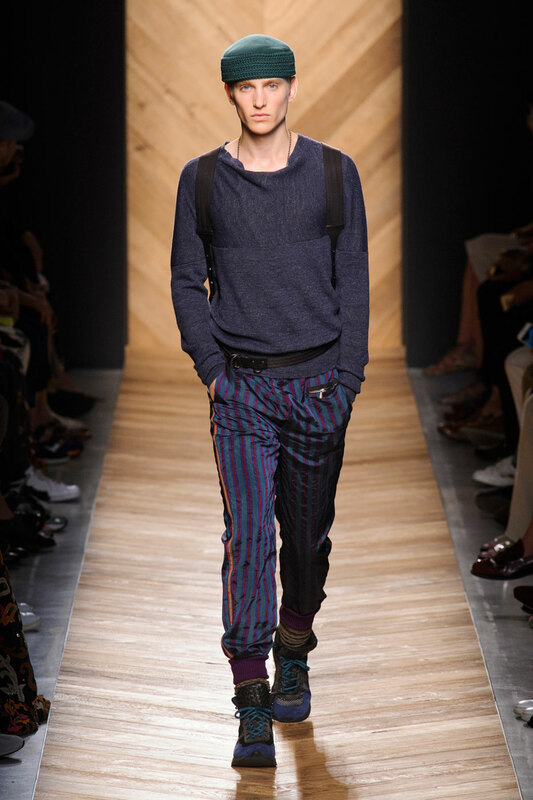 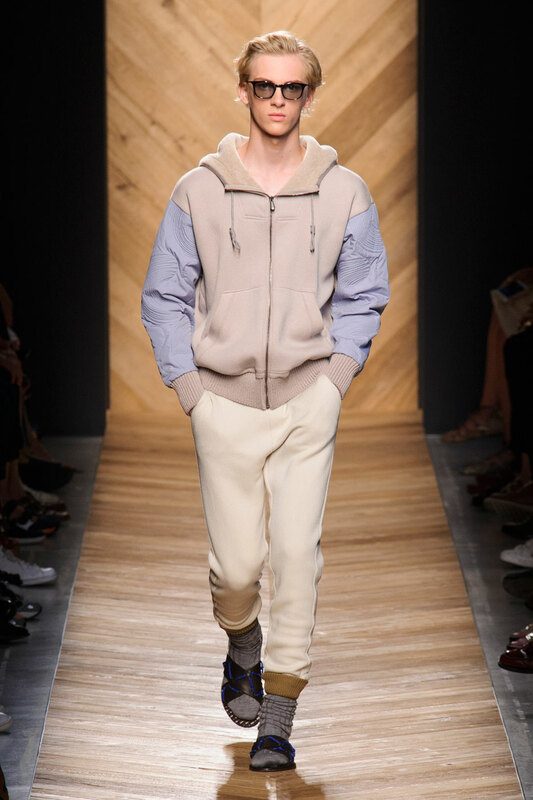 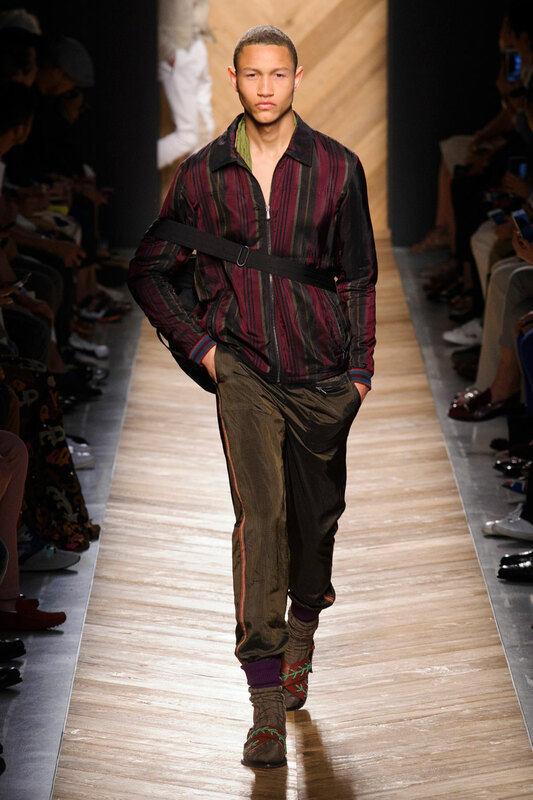 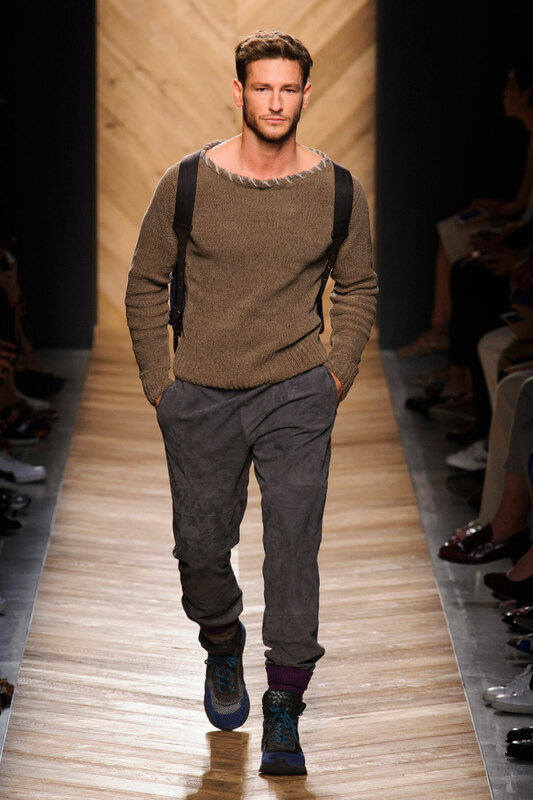 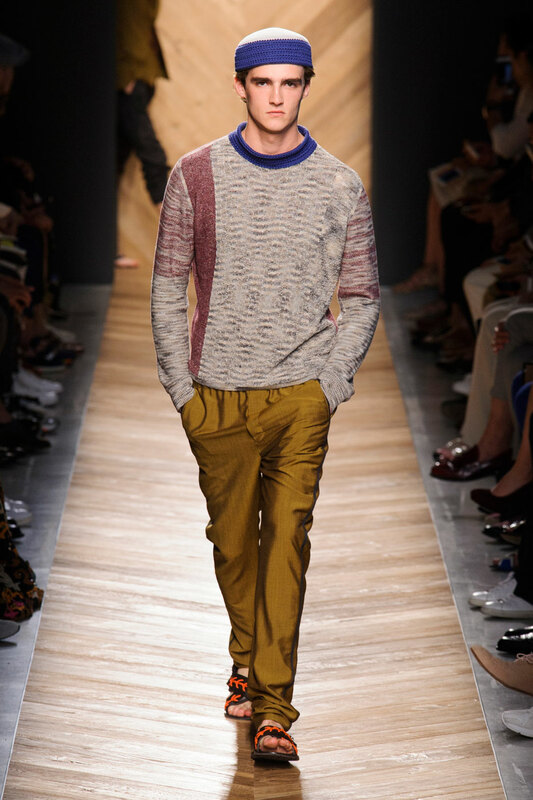 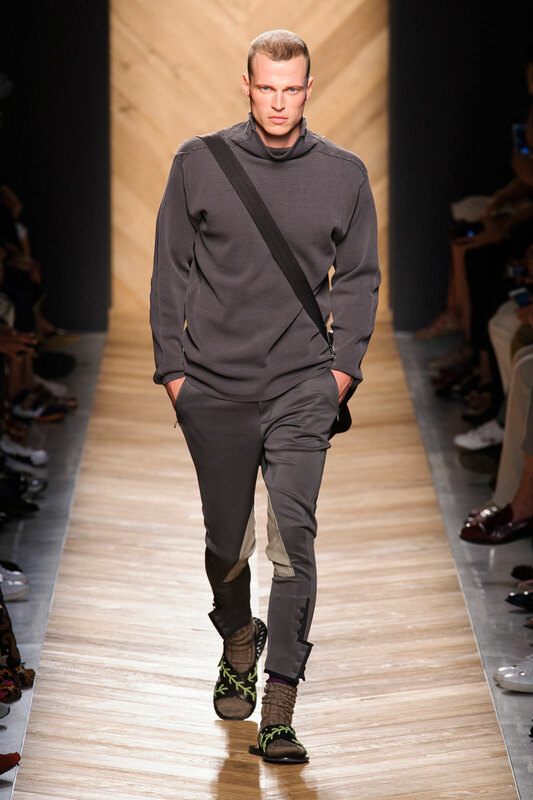 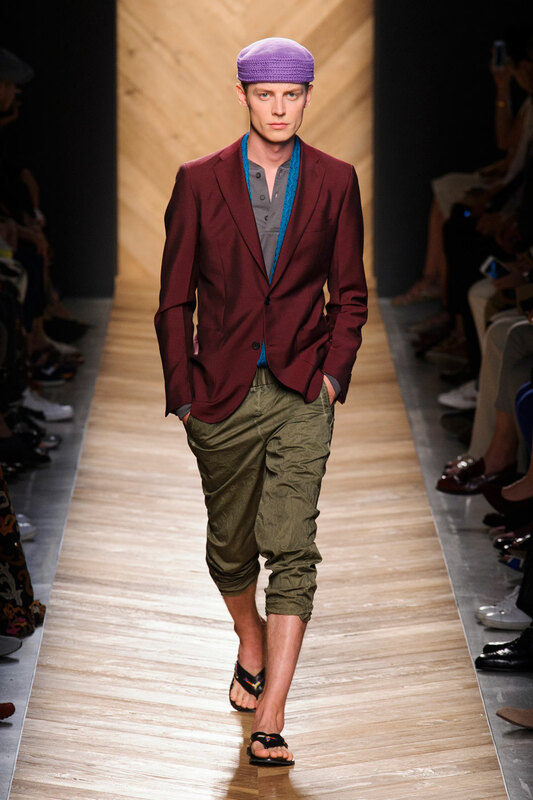 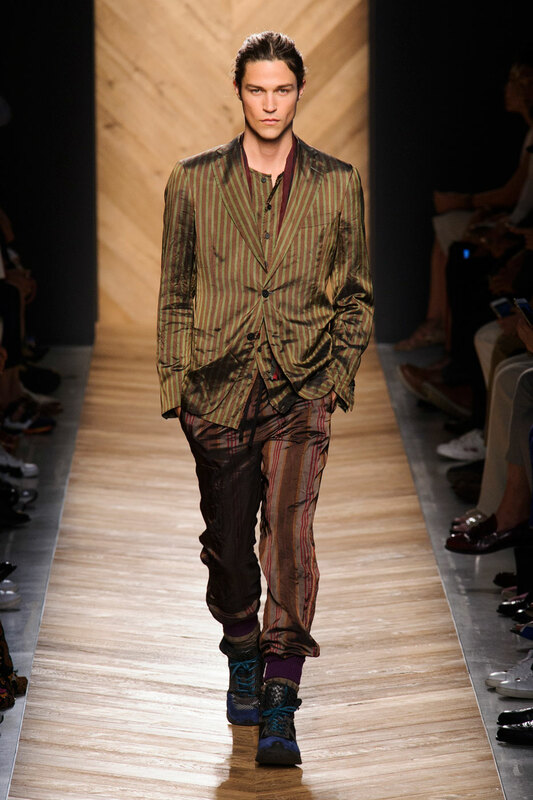 Inspired by the adventure of the great outdoors, Bottega Veneta’s latest collection features neon hiking trainers, functional detailing on linen trousers and board shorts and a neutral colour palate. 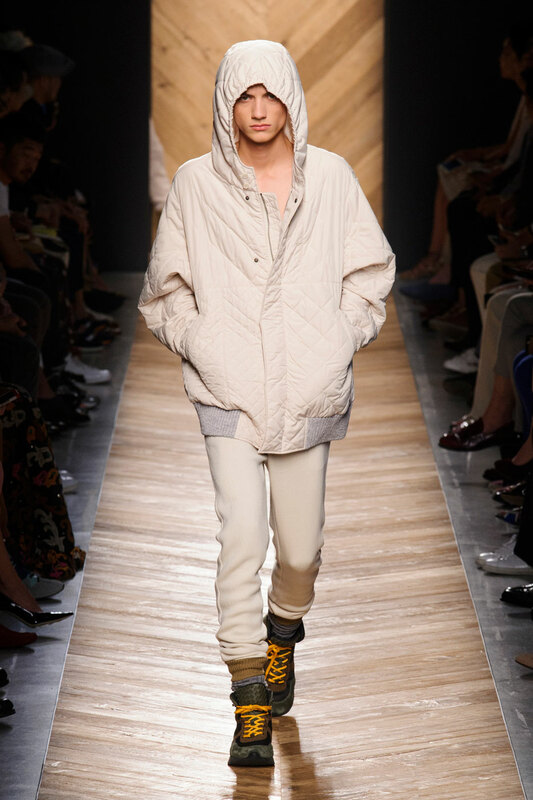 Each adventurer showcases their own personal interpretation of the ‘great outdoors’ with chunky ski jackets tucked into tight fitting sweatpants VS. 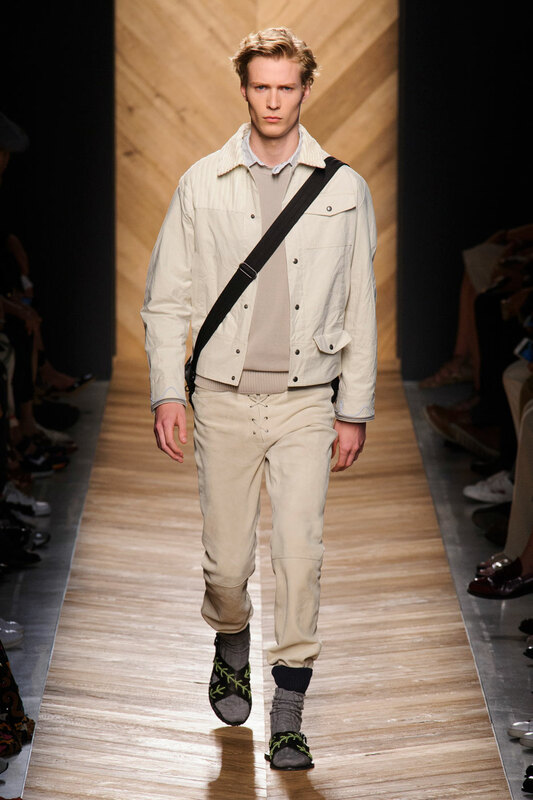 The classic adventurer who combines loose beige suede patchwork trousers with a white cuffed shirt and harness to climb troublesome terrains. 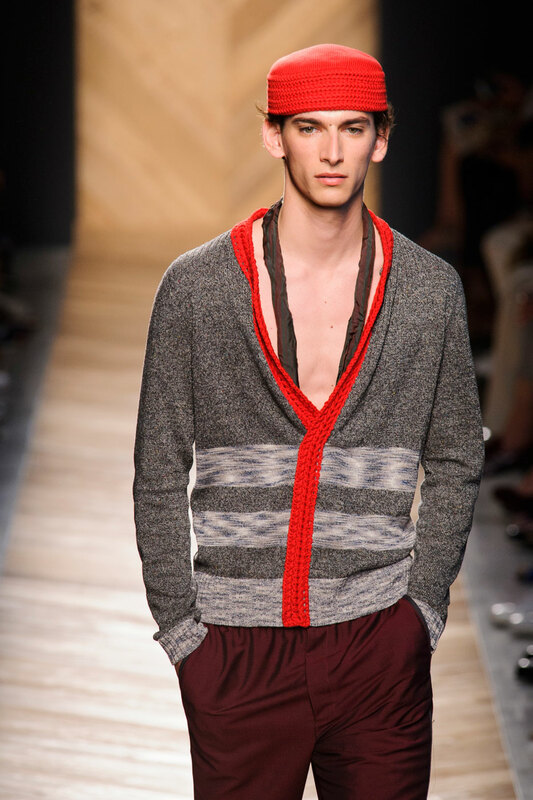 Each outfit is instantly wearable and will appeal to those who live their life on the edge. 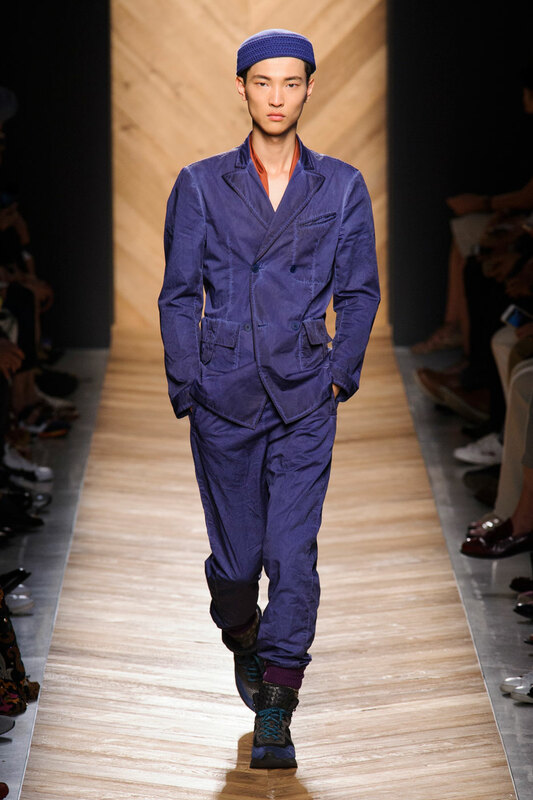 Unlike previous collections showcased in Milan, Veneta is unafraid to create fashion that will attract the working man , who will appreciate the quality of the fabrics rather than the label behind them. 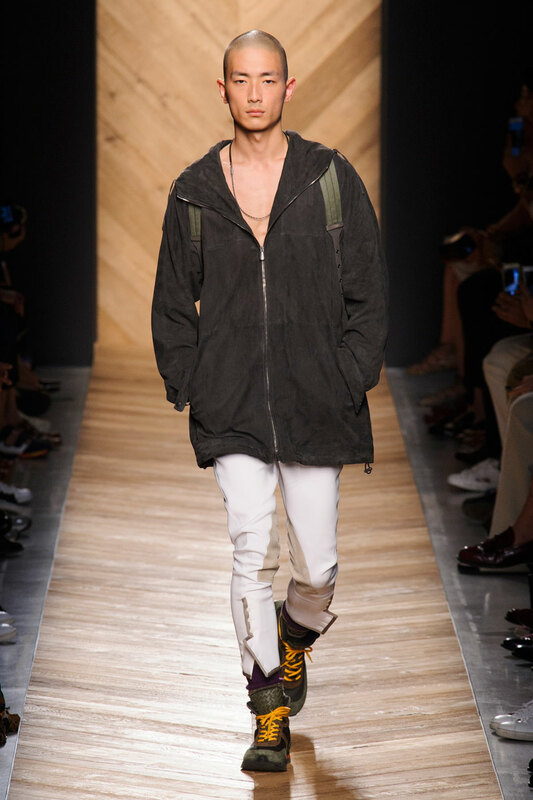 With that in mind, Veneta is treading dangerous waters but it is his ability to think outside of the box that will get this collection the appraisal that it deserves.